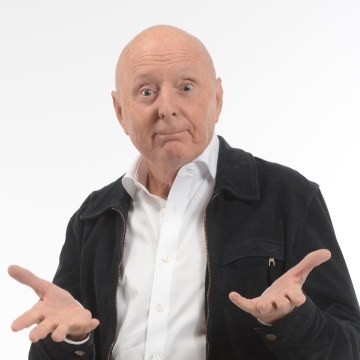 English comedian, actor, television presenter, and personality Jasper Carrott career has spanned five decades, it first started when Jasper became resident compére at the Boggery Folk Club in Birmingham in the mid-seventies. There he discovered his talent for comedy, and his inability to sing; the rest, as they say, is history. Awards and accolades have followed Jasper throughout his career, including BBC TV Personality of the Year, a Gold Medal at the New York TV and Film Awards, Midlander of the Year Award, his own ‘Star’ on Birmingham’s Walk of Stars and the British Comedy Awards Lifetime Achievement Award in 2008. In recognition of his outstanding work for charity,Jasper Carrott was awarded an OBE in Her Majesty’s New Year’s Honours List in 2003. However, with typical restraint, Jasper says that his notable achievements are: two gold albums, four silver discs, 1.5 million books and two T-shirts!